Subscribing to a FlexRadio forum allows you to receive e-mail alerts any time a new topic is posted or responded to on a Forum category. For example, if you want to know any time a new post or an updated post has been added to the Support Questions and Discussions, you must “subscribe” to that Forum to receive e-mail alerts. If you want to unsubscribe to a FlexRadio Forum, please refer to the KB article, How to Unsubscribe to a FlexRadio Forum or Topic listed in the Related Articles below. In addition to subscribing to a Forum, you can subscribe to a particular topic as well. 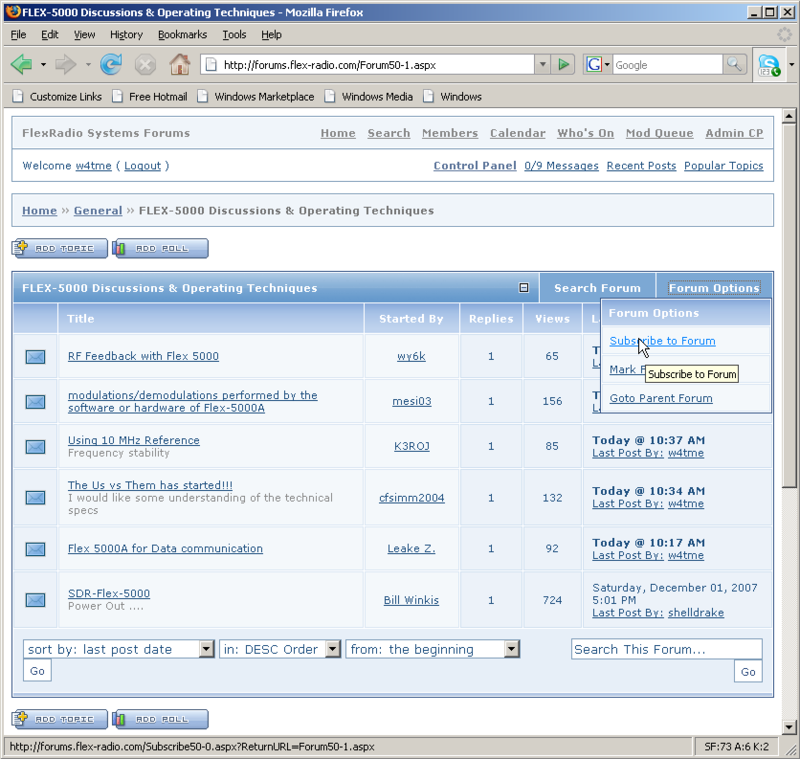 This is described in the KB article, How to Subscribe to an Individual FlexRadio Forum Topic. This information can be accessed below in the Related Article section of this KB article. The procedure below will describe step-by-step the process for subscribing to a Forum. 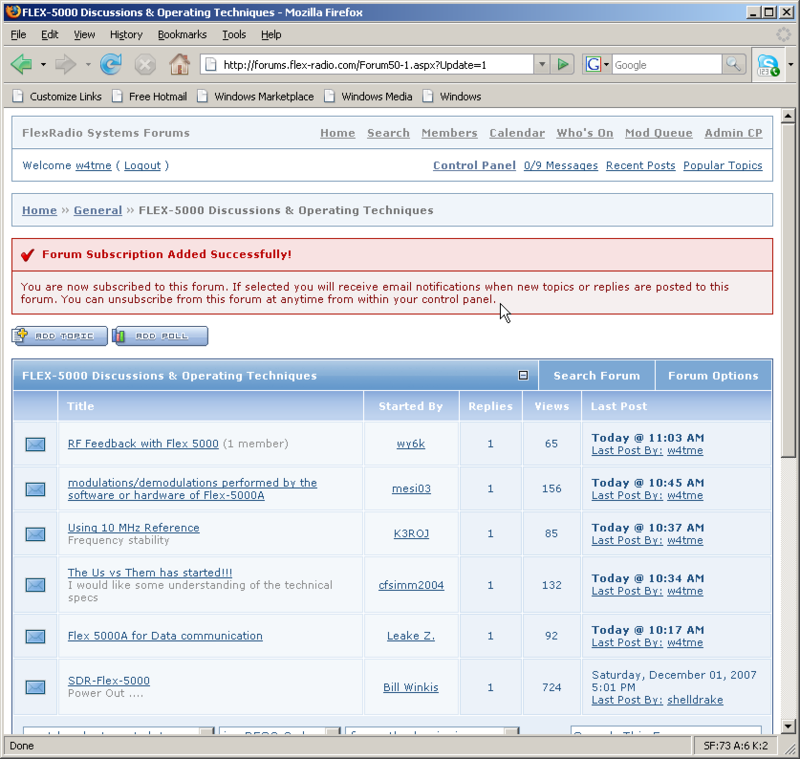 NOTE: For the Forum subscription process to work, the e-mail address associated with your Forum account must be valid. Step 1. 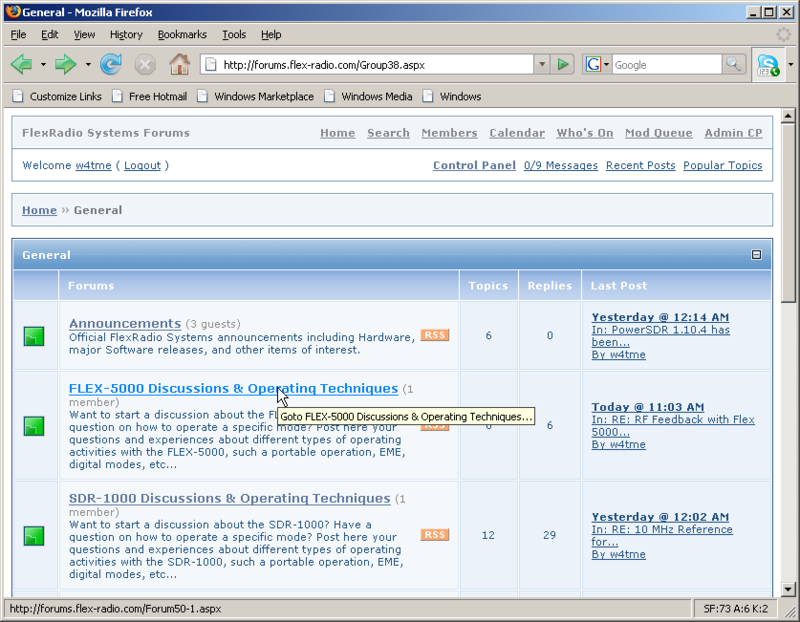 Open the FlexRadio Forums by clicking the "Forums" link on the right hand side of the main FlexRadio Systems web page or by using the following URL: http://forums.flexradio.com/ . Alternately, you can access the forums from the Support drop down menu from the Support menu on the main FlexRadio Systems web page and the select Forums->English. Step 2. At the top left hand corner of the Forms Home page, click on Login. Then enter your login credentials if you have not set your account to automatically log in when accessing the Forums. Step 3. From the Forum Home page, select the Forum you would like to subscribe to by clicking on the Forum name link. 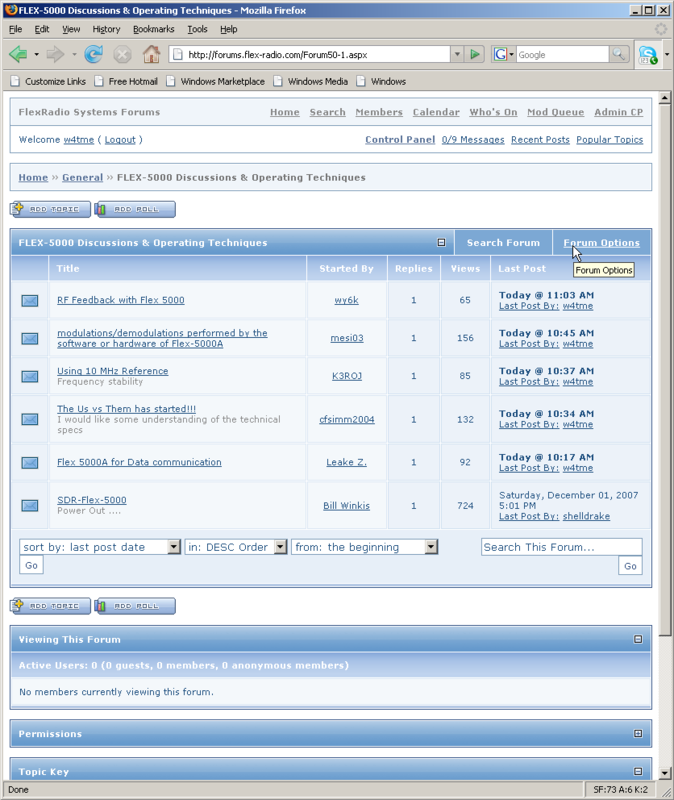 In the example below, the FLEX-5000 Discussions and Operating Techniques is being selected. Step 4. 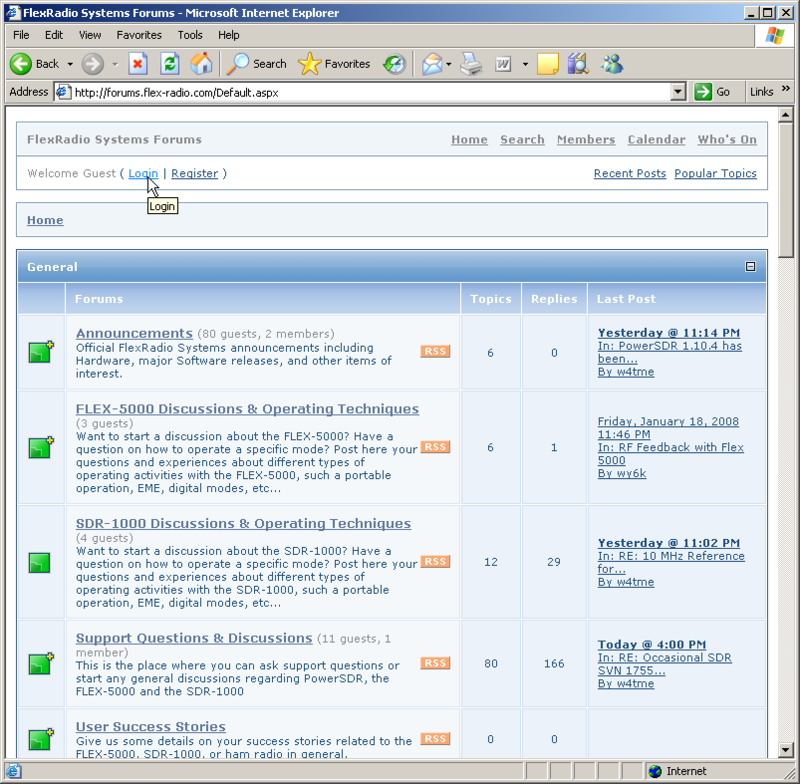 Select Forum Options in the top right hand side of the selected Forum to display the Forum Options menu. Step 5. 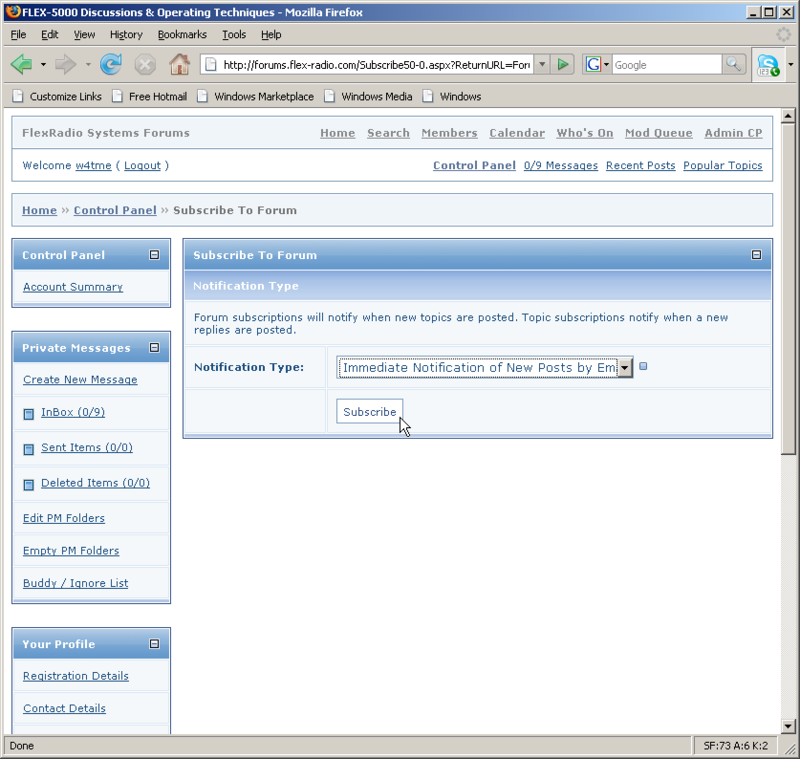 Select Subscribe to Forum from the Forum Options menu. Step 6. In the Subscribe to Forum dialog box, click on the Notification Type drop down box and select Immediate Notification of new Posts by Email. Step 7. 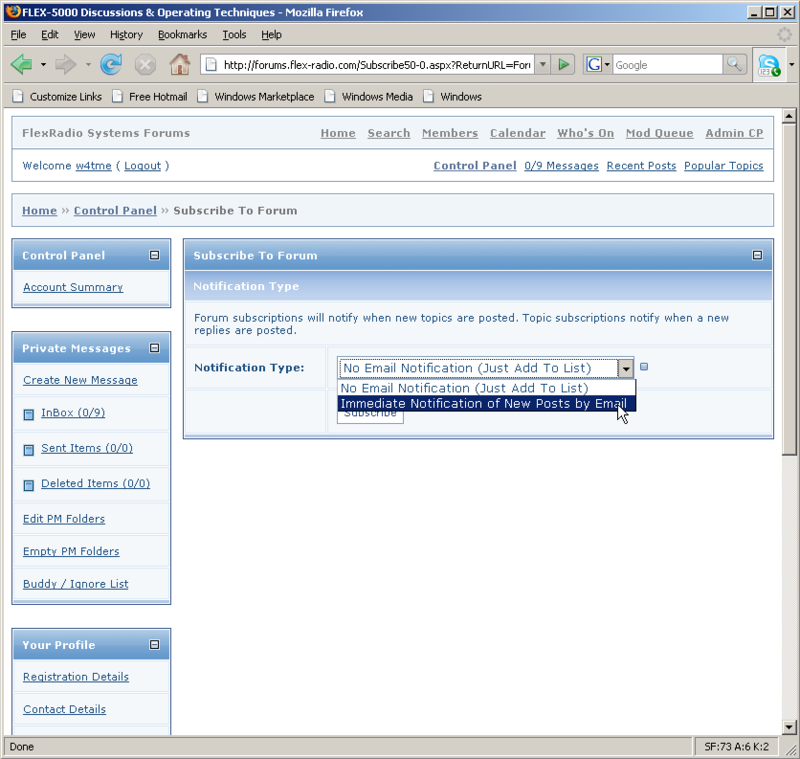 Click on the Subscribe button in the Subscribe to Forum dialog box to set the subscription notification option. Step 8. You will see the following screen when you have successfully subscribed to a Forum. Article has been viewed 88,353 times.